Creamy, rustic duck spread made from Rohan duck legs, raised without antibiotics or hormones. To make this traditional charcuterie, slow-cooked duck leg confit is shredded and then mixed with duck fat. Enjoy spreadable duck rillettes simply on toast, with crunchy pickles on the side, in a sandwich, or serve as part of a charcuterie board. 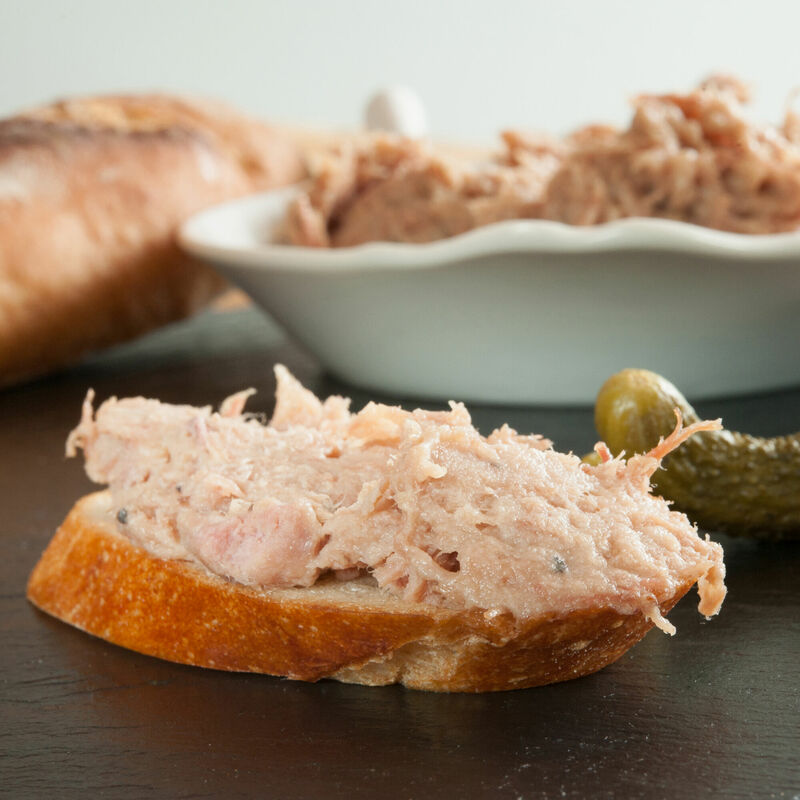 Serving Tips: Rillettes should be brought to just below room temperature before serving. A quick fluff with a fork will distribute the fat evenly and make for easier spreading. Duck rillettes are an excellent addition to any charcuterie board, just make sure to serve them the traditional way with cornichons on the side. Rillettes are wonderful spread on toasted bread and make an excellent sandwich, taco, or even steamed bun or dumpling filling.